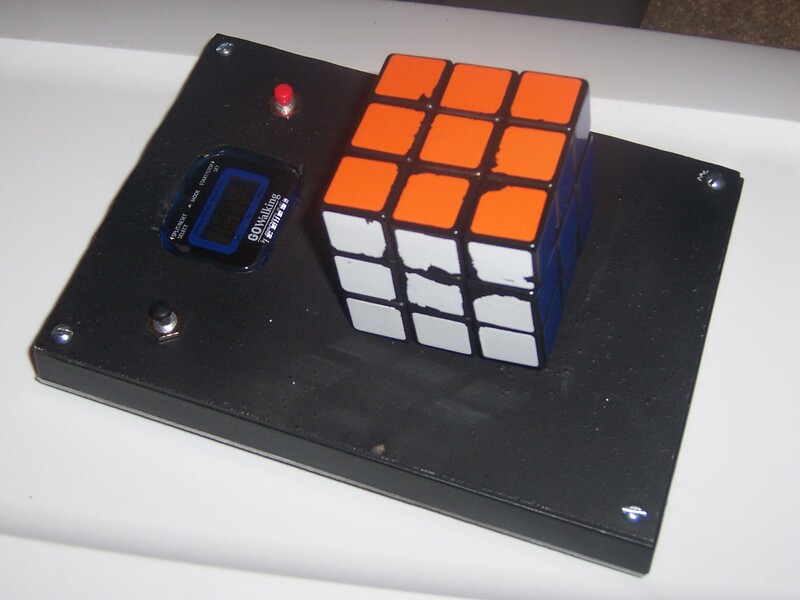 About my cube - I started solving in January of 2005. 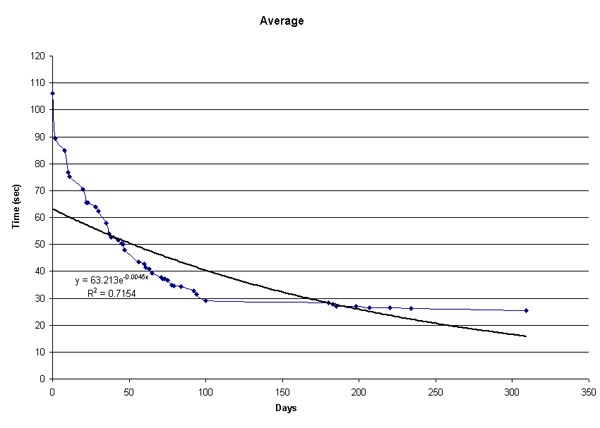 I averaged under 30 seconds exactly 100 days after my first average. I started with Petrus, but found it to be very hard to get going at a decent speed with. So, after a couple of weeks I switched to Gilles Roux's method. I currently use a Rubik's DIY cube with arched centers and screws. I use stickers from www.cubesmith.com. I suggest you do the same. Rubik's stickers last me about a week, and I've been using the same set of cubesmith stickers for over six months and they still look great! You can see that as soon as I got under 30 seconds I actually took a 3 month break to work on my bowling and some other projects, and just decided to pick it back up after those three months, and almost immediately I was getting new averages. So maybe the break helped. I also love the FMC even though I haven't done a lot of them. 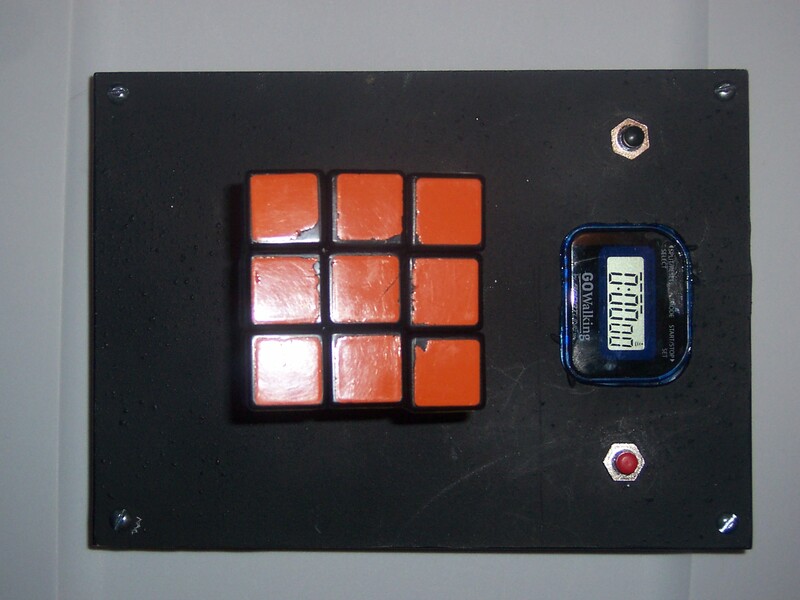 Here is my FMC Page where I put my solutions and some of the ways I attempt to solve the cube. Solve Videos - Just some videos. This was a decent solve. I'm still locking up quite a bit which really hurts my time. I got a little jumpy at the end but it was a fun solve anyway. This was a little slow, and if I could just not spend so much time looking I'd be pretty fast. 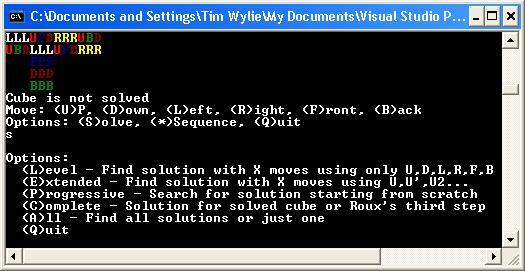 Minimal Solver - [date] - This is a program that I wrote in C++ to find the minimal solution for the Rubik's cube. You must first mix the cube and then choose options and it will solve it. It also has a flag to only solve up through Roux's third step. I wanted a way to find the shortest corner algs. There is documentation with the program. It's kind of slow because it's chugging away, but it will find the answer. 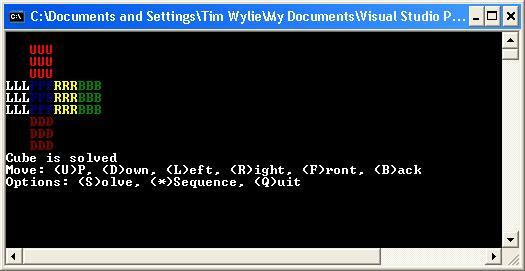 I also built in a sequence solver because I thought it was really neat and the program I was using didn't have anything like it. You enter in any algorithm you want and it tells you how many times that algorithm has to run in order to get back to a solved cube. For instance L F U has to be repeated 80 times before you get back to a solved cube. neat. 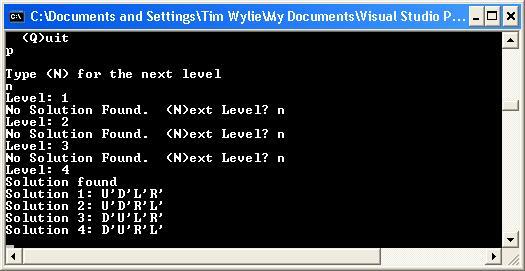 This program could be made much much faster if anyone really wanted me to work on it. I took a lot of shortcuts such as only implementing the quarter turn function, so when the half turn function is called I just call the quarter turn function twice, and three times for the quarter counter-clockwise turn. So every level when it checks the 18 moves it is doing a total of 6 + 2*6 + 3*6 = 36 total function calls and calculations when it should only be doing 18. 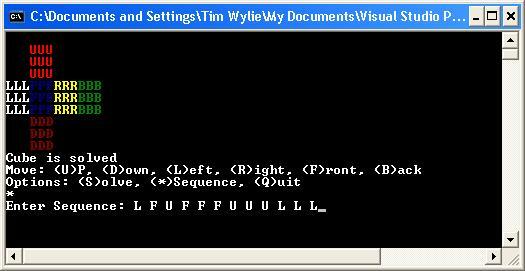 I've just been too lazy to write the counter-clockwise turn and half turn functions. But if anyone wants to use it and wants me to speed it up I will. 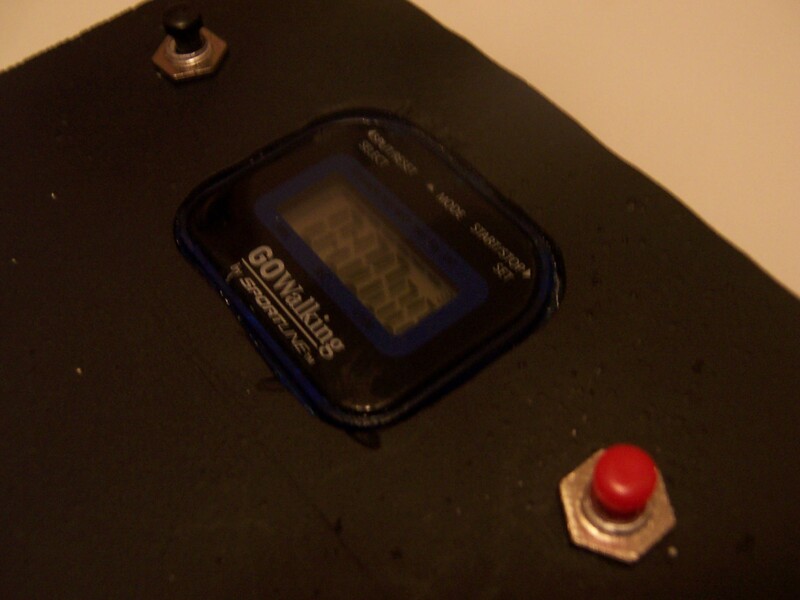 Cube Timer - [6/2005] - This is just a small timer that I made because I didn't have the money to invest in a speedstacks timer, and really they're not that impressive anyways. This is essentially a $5 stopwatch from walmart with the buttons wired in and placed in the layout that I wanted in the case. This was a really easy project and I recommend others try it first before spending a lot of money on an expensive timer. The only suggestion I would make is that you might want to use two pressure switches like the speedstack timers have, and wire them in. I didn't do this only because I was keeping the cost down to less than $10 and because I wanted to finish it really quickly. Anyway, enjoy the pictures. 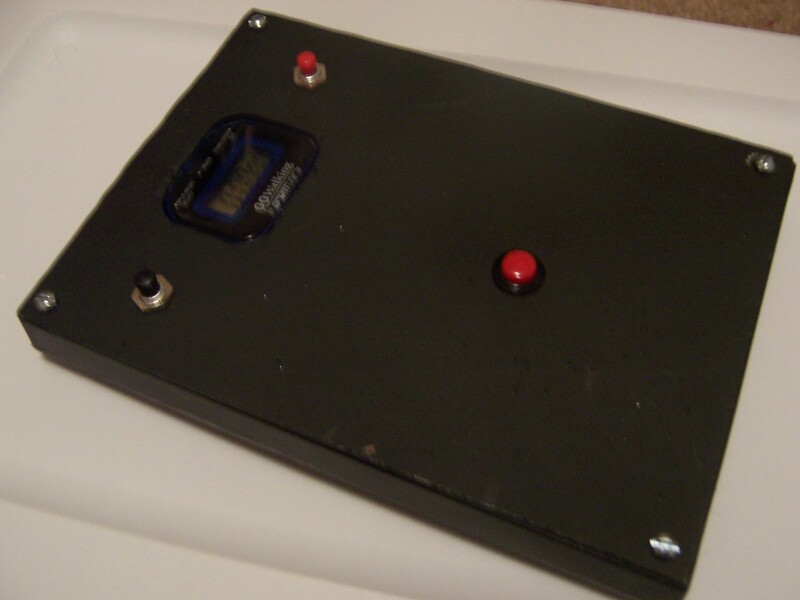 Actual materials used are a five dollar stopwatch from walmart, a couple of radioshack buttons, a $1 plastic pictureframe from walmart for the side/frame, a small sheet of plexiglass from lowes, and an 80 cent can of black spray paint. I believe this is a much better way to make a timer than a custom built circuit because it's cheaper and you get more things like a clock and such. Plus the small battery will last forever. A small tip if you do this: don't try and solder to the metal button plates, but instead just take them out completely and solder directly to the motherboard. It will work a lot better.